Well I watched the whole of David Cameron's speech today and indeed I tweeted it all the way through it. My general thoughts are that it was a par performance for Mr Cameron. I have certainly seen better from him but it was not terrible. The thing is though that with the polls slipping to just a 2 point gap between the Tories and Labour today he really needed to pull something better than this out of the bag in my view. Yes, he did it without notes but frankly I don't think that's going to cut much ice with people. He did alight on some areas of policy but there was not enough detail and he regularly fell back on broad generalisations. He also kept doing things like criticising things that have happened (like hospital deaths) without explaining how he would prevent them. There was also a problem of coherence. The Tories talk endlessly about decentralisation of power but he devoted a section of his speech to talking about the detail of the History syllabus for 11-13 year olds. So what is it to be? Decentralisation or micro-management from the centre? He also said some rather odd things like when he goes abroad he does not want to take an aeroplane full of journalists but instead one full of businessmen. OK, fair enough but will he really follow through on this? Will he not allow journalists to go with him on trips? I await the first time he takes the lobby off on a foreign junket for these words to be thrown back in his face. It is like he just hasn't thought through the consequences or detail of some of the things he is saying. He also had the temerity to claim that he was proud of his party on the expenses issue. The upper end of the wrongly claimed expenses scale had lots of Tories. They were in it up to their necks. He has nothing at all to be proud of. To be honest I started to get a bit lost towards the end of the speech when he tried to talk about optimism. There was a bit too much flowery rhetoric that was very vague and unspecific. However there were a few soundbites in there that may come across OK on the news. And in fact that is how most people will consume his speech. Not the small number of political obsessives like me who watched it in full but the people who will see a brief summary and a few snapshots on the reports. They are the people that Cameron is targeting and as I said at the start from this perspective I expect it will come across OK. However, Cameron had a chance today to get a political news cycle almost to himself. It might be the last chance he gets to do this before the election and I am far from convinced he has fully capitalised on the opportunity. Ed Balls said something that I thought was worth highlighting when he was on Andrew Marr's show this morning. He was discussing the bullying allegations against Brown and as part of his attempt to discredit Andrew Rawnsley (the author of the book containing the revelations) he pointed out that for two weeks running now, Rawnsley has published pieces defending his work. According to Balls, that is evidence that his book is full of holes. It is indeed true that Rawnsley has published two op-ed pieces on consecutive weeks in The Observer that have sought to defend his work and reputation. the first one, last week was pre-emptive and the second one was responding to some of the criticisms this week. But hang on minute. His pre-emptive piece was in order to try and neutralise some of the attacks that he knew would be coming his way from the formidable Labour spin machine (as indeed proved the case during the week) and the second piece was again responding to the smears from the same machine. What was Rawnsley to do instead? Leave the field entirely open to Labour allowing them to besmirch and smear him and his reputation as much as they liked? He had every right to defend himself and his work. The fact that Balls is trying to use this as a way to smear him further is just silly. It is an example though of the sort of Catch-22 traps that New Labour are very adept at laying. Just because they sound superficially reasonable though does not mean that they are. It is time spin like this was fully exposed for the hollow nonsense it really is. Having watched George Osborne on Andrew Marr's programme this morning, his performance just underlines what I have thought for a long time. That he is just not up to the job. He went round and round in circles and was wholly unconvincing. Given the problems in the economy in the last few years and the fact that Labour have been in for well over a decade, the Shadow Chancellor should be doing much better than this. I really think Cameron should have moved him to another less high profile portfolio and let him concentrate much more on the party's election strategy. I really cannot see why Osborne is still Shadow Chancellor. There are others in the Shadow Cabinet who would do a far better job of it (e.g. Hague or Hammond). He did play a blinder in Autumn 2007 with his IHT announcement to conference but that was now 2.5 years ago. You need to be judged by your recent performances and I am afraid Osborne’s are woeful. I hope Cameron is not keeping him there out of some sense of loyalty. If he is then that does not bode well for a potential premiership. A Prime Minister needs to be able to be ruthless if necessary. The more I think about it though, the more the only explanation for having kept him in post is the friendship thing. He cannot still be dining out on his 2007 conference performance which is increasingly looking like an outlier. It is too late for Cameron to credibly move him now but his previous inaction and misplaced loyalty could cost him the election. Are the Conservatives about to lose the general election? There is a YouGov poll reported in The Sunday Times today which has the Tory lead over Labour narrowed to 2 points. The percentages are: Con 37%, Lab 35%, LD 17%. Now I know that this does not take into account the story in the marginals which could tell quite a different tale but even so according to this Labour would be 54 seats ahead of the Conservatives. It is unlikely that the Conservatives could go against the national trend strongly enough in the marginals to be able to form a majority government. It is now looking possible that it could be Labour with the most seats. If that was to happen it would be a catastrophe for the Conservatives. I agree with James Forsyth in the Speccie that David Cameron needs to pull off a very strong speech at his party's Spring Conference today. So the Owlsmoor by-elections were on Thursday and I didn't win as I blogged about briefly on Friday morning. I did however come second in both the Borough and Town elections behind the Tories who retained both seats. To be honest, this is the sort of result that we have come to expect in Sandhurst and the Bracknell constituency more generally. The Conservatives hold 39 out of the 42 Bracknell Forest Borough Council seats (the other three are held by Labour) and the entirety of Sandhurst Town Council. They have a big constituency presence with many more members than we do and from what I can tell they mobilised their machine very well for the by-elections. I am sure they had more people on the ground than we did and hence would have been able to do more canvassing and get their vote out more effectively. I am not complaining however. They won fair and square. I wanted to talk a little bit about some of my experiences as the candidate in the last few weeks from the perspective of someone who has been very interested in politics for around 20 years but until a few weeks ago had never stood for elected political office. I have certainly learnt a lot, much of which will hopefully stand me in good stead next time. And I fully intend there to be a next time! The first thing that struck me after having been selected by the local party to fight the seats was that once I was knocking on doors it was no longer "Hello, I'm calling on behalf of X". I was X! There was nobody to hide behind. It was me that had to provide all the answers and to try to persuade people to vote for me. As someone said to me the other day, it's the sort of situation that really highlights your sales skills trying to sell yourself! It's probably invidious to try and judge how well I did on this front and of course there is no control experiment where I didn't bother knocking on any doors to see what the difference in the vote would have been had I not bothered but I am pretty sure I persuaded some of those I spoke to. That was certainly the impression I was left with. And some of them were tough cookies too! I was grilled about all sorts of stuff such as the rate of increase of council tax over the years (one chap wanted to know the exact figures year on year) and various questions about exactly what we would do about things like gritting the roads, bin collections etc. I even ended up with some casework for example discussing housing issues with someone. I spent as much time as I reasonably could going around the ward knocking on doors and speaking to people. I personally knocked on several hundred doors and spoke to lots of voters. Some of my colleagues also did canvassing so in the end we covered a fair bit of the ward (although not all of it) but we only did one pass so if people were out (which about half of them were) that was our only shot. I have done this sort of thing before both locally and also in other constituencies but this was the most intense it has been with me going out several times each week and as much as I could at the weekends. It is quite tiring to knock on door after door and speak to people in this way but also I found it very rewarding. Late last Sunday afternoon, I arrived home still buzzing from some of the positive reaction I had had on the doorstep and decided I wanted to go out again straight after dinner to do some more. I think I had started to contract candidateitis if such a thing exists! My main campaign message was that the Conservatives are very dominant and we are best placed to take the seat from them. We wanted to get some more opposition on the council and hold them to account a little bit more. I also asked many people I spoke to when the last time they had had their councillors knocking on their door outside of election time and the answer from everyone was never. I found that quite odd as the Lib Dem councillors I know from other constituencies never seem to stop and are out on their patches regularly canvassing and talking to people. I could only conclude that the dynamics are very different here because the seats are perceived as so safe that the councillors do not feel the need to do this. However I did feel that this message was resonating. Obviously given the result it was not enough and it is hard to know as I write if it's just because we didn't manage to speak to enough people and then get our vote out or if the message was wrong. I think analysis of the voting returns might provide some answers to this which we are going to do at some point. I was particularly struck by a discussion with one chap on the doorstep who instantly told me he was going to vote for me and explained that the reason was because he had met my Conservative opponent and he had not been at all impressed. He had got the impression from the candidate that everything was fine and nothing needed to change which did not chime with his experiences at all. There are some problems in the ward and I found it odd that my opponent's message to this chap was to just ignore it. Probably the best moment of the campaign for me was after I was walking back to my car following my delivery of my share of the "good morning" leaflets on the election day itself I bumped into a chap who had given me a fair grilling a couple of nights before on the doorstep on his way back from the polling station. He told me that he had voted Conservative in the past and was thinking of doing it again (the Conservatives had been the only other party to knock on his door). However after quite a bit of discussion he had told me that I had left him with some thinking to do. Anyway on the morning of the election he told me that he had "given me my chance". It was very encouraging to hear that my arguments had convinced someone like this. At other times during the day I spent some time telling at the polling station. For anyone who doesn't know, this is where you try to get as many of the polling card numbers from those voting as possible so you can cross-reference this with those who said they would vote for you and then use that data to "knock-up" later on if they haven't yet voted. It was another new experience for me and whilst most people were happy to give their numbers, a few weren't. The most enjoyable part of the telling though was to be able to speak at length to activists and candidates from the opposing sides. I got the opportunity to meet one of the Conservative candidates and the Labour and UKIP candidates too as well as various other members of all of those parties. We had some good debates in the 3 or so hours I spent doing this during the day punctuated by asking for people's numbers. For a local party like ours which has no council representation this is probably the most chance that we get to meet and interact with our political opponents. For someone who enjoys good political discussion it was great fun and there was quite a bit of common ground on a number of issues. There was also some banter and winding each other up! I would particularly like to mention the Labour Party candidate Guy Gillbe. He is a 19 year old student who was standing for his first time and he was very impressive. He has a good knowledge and understanding of politics, certainly more than I did at his age and although I didn't agree with everything he had to say he was very good at arguing his case on all the issues we discussed. He is already the head of some sort of EU youth federalist group within his party (which went down well with the UKIP activists!) and I would suggest he is one to watch in the future. It was quite touching to see his proud father at the count later on and everyone from all parties were in agreement that it was great to see someone so young standing. The count was held shortly after the polls closed in an office in Bracknell. I was there with several party colleagues and the small room was very full with representatives of all the parties standing (except the Greens) in attendance. I had already attended a count for the Euro elections last year but this was very different. Firstly it was a much smaller number of votes, but much more importantly it was my name on the ballot paper! That was quite surreal to see. They started off by sorting out the ballot papers into Town (yellow) and Borough (white) as we observed. Within about 5 minutes it was clear to me that I had not won in either election. The typical sequence from both colours was: Tory, Tory, Tory, Lib Dem, Tory, Tory, Labour, Tory, Tory, Lib Dem, UKIP, Tory etc. It was obvious that around half the ballots had been cast for the incumbents and it was extremely unlikely that this pattern was not going to be repeated throughout all the ballots as indeed it proved. The only question then was who was going to come second. It was however quite satisfying to see at they started to sort the ballots into the different trays that the one with my name on it was getting a decent share which made it clear I was coming second in both elections by quite some distance. Once the results were announced there was the standard congratulations to the winners and commiserations to the rest. So my conclusions from the entire roller-coaster experience of the last few weeks are as follows. Firstly, being a candidate is a pretty tiring experience! I have been trying to relax a fair bit over this weekend so far and I really need to to re-charge my batteries. Knocking on so many doors whilst still doing my full time job helping to run a company as well as all my other commitments such as blogging and podcasting etc. takes it out of you! However it was immensely enjoyable. The feeling of being the person asking for people's trust and actually seeing them won over through my arguments is something that I found very rewarding. There were of course a few bad experiences on the doorstep but they were far outweighed by the positive ones and I found lots of people willing to talk and grateful for someone asking them for their opinions on local issues. I also have some ideas of how we can do better the next time I stand. I am convinced that even though we are in a strong Tory area we have a strong message and the potential to help people with their problems locally. Even one Conservative activist I spoke to on election day said that he hoped I would win! He said that we needed some fresh blood and fresh ideas on the council. If even some Conservatives themselves recognise this then it is a message that I am sure will resonate more widely within this constituency. To be honest I was not that surprised - one party dominance can become very stultifying after a time. I also intend to follow up on the little bits of casework I picked up even if it is just to follow up with the council and pass onto the winning candidates. I would also like to thank all my party colleagues here for their help in the last few weeks. I won't embarrass any of them by singling them out by name but they have been great with help, advice and support throughout the campaign and well as getting my leaflets out to every house in the ward and helping with canvassing. My next opportunity will likely be in 2011 in the main council elections here. At least on that occasion we know well in advance what the election date is so instead of a 5 week run-in we have much longer. I was always intending to start knocking on doors for next year's elections well ahead of that date. These by-elections have given me some great practise for this and hopefully I can get an even better result next time. The result was announced last night of the Owlsmoor by-elections. I didn't win either of them, instead the Conservatives retained both seats. We did however come second. Congratulations to Philip Wallington and Norman Bowers. The panel includes the senior Labour politician Peter Hain MP, the shadow defence secretary Dr Liam Fox MP, the Plaid Cymru leader Elfyn Llwyd MP, UKIP's Nigel Farage MEP and the journalist and broadcaster Janet Street Porter. So for the second time in recent months there has been a 4 week period when on only 1 week was there a Lib Dem on the panel. This has quite rightly annoyed lots of Lib Dem bloggers. See here for Mark Pack's take on it on LDV which includes links to several of the other blogs to have raised this issue. I have called the BBC duty log myself. Anyway, this week I will be at the count for my by-election in Owlsmoor during the programme so cannot host the chat myself but never fear, Lib Dem blogger Matt Raven (known on Twitter as @El_Cuervo) has very kindly agreed to step in and take on hosting duties. So my first election day as a candidate has dawned. The polls opened in Owlsmoor at 7:00am this morning. I was canvassing up until last night and delivering "good morning" leaflets first thing this morning. I am Telling at the polling station later on and then will be going to the count this evening. I had a nice experience just as I was finishing the leaflet delivery this morning. As I was going back to my car, I bumped into a chap who I had chatted to on the doorstep a couple of nights ago. He has given me a bit of a grilling previously (in a friendly way!) and he had told me that it was between me and the Conservatives for his vote. Well it looks like I persuaded him because this morning he told me that he was just coming back from the polling station and that he had "given me my chance"! Gave me a bit of a boost to start election day off with! Hopefully the weather will stay nice and we will have a reasonable turnout. I will post the results here when I know them. This week we were joined by Labour activist Tracey Cheetham who blogs at "A View from the Public Gallery" and the leading Conservative blogger Iain Dale. We discussed the accusations about Gordon Brown's alleged bullying, lobby passes for bloggers, the recent Sir Nicholas Winterton episode and whether the Conservative Party has modernised enough. So when is the North West Leicestershire by-election? A report has just been published by the Electoral Commission discussing the administration of the Glasgow North East by-election last year. The report is critical in a number of areas and as Caron Lindsay points out today, the fact that it took almost 5 months to hold the by-election (I made it 143 days) left the constituency without parliamentary representation for far too long. There is a real risk that this sort of situation could be being allowed to happen with North West Leicestershire too which has been without an MP since the sad and unexpected death of Labour MP David Taylor on Boxing Day. I expect that Labour are hoping that they can get away with not moving the writ for a by-election there because of the sense that the general election could be called at any time. It is true that it could be but it is also possible that it is still more than 3 months away. The latest it could be is June 3rd. If this parliament was to go this long then North West Leicestershire would have been without an MP for 159 days, even longer than Glasgow North East which has just attracted such criticism. Even if as many expect, Gordon decides to call the election for May 6th that would still be 131 days which is again too long to be without representation. There are precedents for by-elections being called late in a parliament. Amongst them, one I vividly remember was in 1997. The Conservatives called (and lost) a by-election in Wirral South for 27th February just a few weeks from the general election in May. It's probably true to say that even Gordon doesn't know when he is going to go yet. He might be currently thinking about May 6th but if events conspire against him he could push it all the way. As I blogged about at the end of December, the Labour Party reacted with outrage at talk of a by-election very soon after Mr Taylor's death. It is now however nearly two months on from then and I still do not detect any sign that this is going to happen. By-elections should be called for the convenience of the public, and not for the political advantage of the party holding the seat. The writ should be moved for North West Leicestershire this week. I have been following the consequences of the publication of the extracts from Andrew Rawnsley's new book in the Observer yesterday about Brown's temper and alleged bullying of his staff over the last couple of days. The first thing that struck me was just how determined lots of Labour tweeters and bloggers were to instantly try and dismiss the claims. They immediately came up with the #RawnsleyRot hashtag on Twitter and tried to smear Rawnsley himself. The various defences attempted that I have seen are that there is no evidence for his claims (Rawnsley insists that his sources are 24 carat and has been researching this book for three years), Rawnsley has form for having made mistakes in the past (I am sure we could do that with all journalists) and what has been revealed is not actually bullying but Gordon angry with himself (I am not sure the secretary who was allegedly pulled out of her chair would see it like that if that is true). The worst defence I have seen though which I have seen repeated numerous times is that Andy Coulson (Cameron's spin doctor) is a proven bully and therefore no Tories are allowed to comment about the allegations against Brown or the "people in glass houses defence". I was one of those to suggest at the time that Coulson's behaviour was totally wrong and that Cameron should get rid of him but the reasoning here is pretty weak stuff. It is reminiscent of the sort of thing you see Brown do sometimes with Cameron across the dispatch box when Cameron has asked a question and Brown responds "I'll take no lessons from the man who was an advisor when interest rates were 15%" or some other such false point. Just because Andy Coulson is a bully does not make the allegations against Brown any better. It also does not invalidate questions from Tories just because someone in their party has also bullied in the past. I expect that some people in the Lib Dems have been involved in bullying in the past too. Does that mean I am barred from discussing this issue too? For what it is worth, I think that Rawnsley's allegations must be very soundly sourced otherwise I do not think the Observer would have dared publish them. Indeed as far as I am aware there have been no moves by Brown or his lawyers to launch a libel action against the paper which surely, if any of these stories were fabricated he would have done straight away? I also think Rawnsley was right to publish them. We have a right to know how our Prime Minister who is seeking another 5 year mandate operates. Just because other people in other parties may have also been guilty of bad behaviour does not mean we should all shut up about this. Mandelson "took his medicine like a man" from Brown? Discussions about Gordon Brown and his alleged temper have been reverberating around the political sphere in the last day or so triggered by extracts from Andrew Rawnsley's latest book being published in the Observer today. Lord Mandelson was on the Andrew Marr show earlier today doing his bit and batting for his boss. He did his best to try and belittle the revelations and was spinning that it is good to have a passionate and driven person in No 10. But then Marr asked him specifically if he had ever been hit by Brown. I was expecting a straightforward denial but instead he refused to deny it, said something about it being no secret that they have had their moments and that he (Mandelson) "took his medicine like a man". Is this an admission that Brown did indeed hit Mandelson at some point? If not then why did Mandelson, who always thinks very carefully about how he parses his statements not just say so? It seems an odd way to try and dampen down the story to me. I had a notable experience this morning. I was trying to book an appointment for my wife to be able to go and see her doctor. She was told by NHS Direct yesterday that she should call her surgery first thing (8am) to make an appointment. I called on her behalf at 7:58 (message saying surgery closed) 8:00 (same message) 8:01 (waiting on hold for about 3 minutes) and when I finally got through to someone I was told that all the appointments for today were gone and the earliest that she could see our doctor would be 8th March, i.e. nearly two and a half weeks away. After some discussion the only suitable alternative doctor was available on 1st March but that's still well over a week away. In the end the compromise was that a doctor would call my wife at some point today but that's not really a substitute for a proper consultation. If we had been willing to classify the problem as an emergency then I expect my wife could have been seen earlier but I thought that the government had a target of all patients being seen within 48 hours if that is what they want. Perhaps I have misunderstood what this target actually means in practise? The situation reminds me of what happened in the run up to the 2005 general election. Tony Blair was being grilled by a BBC Question Time audience and one of them raised the topic of doctor's appointments. The lady said that she could only get appointments within the next 48 hours so for example if she wanted to book one for the following week she had to wait until 48 hours before and then ring them. Blair initially seemed confused about this and suggested it could be a one off but then lots people in the audience made it clear this was a widespread problem. He promised he would sort it out. Now what I have experienced today is a bit different to that. It is actually more like the kind of problem that Labour pledged to sort out back in 1997. Maybe I am being unreasonable. I can imagine that trying to get appointments booked is a very difficult juggling act and the only way I can think of guaranteeing this sort of thing is to have lots of slack in the system which would then garner accusations of people being paid to do nothing! However the problem is that we were promised things a decade ago that are still not being delivered. The panel will include the veteran Labour politician Lord Hattersley, the former deputy governor of a province of occupied Iraq and prospective Conservative parliamentary candidate Rory Stewart (who also tried to become the Tory candidate in my constituency of Bracknell) , the Liberal Democrat MP Lynne Featherstone, the economist and former head of policy at the Institute of Directors Ruth Lea and the actor and novelist Tom Conti. Are Tory proposals designed to fatally wound Labour? Paul Richards has a piece on LabourList today entitled "Tory proposals are designed to fatally wound Labour by 2015". In it he discusses three Tory pledges and links them together to form a theme that he claims will make it much harder for Labour to win any subsequent election. In 2008 Ken Clarke MP, then chair of the Tories’ 'democracy taskforce' published a proposal for restrictions on non-English seat MPs voting on some of the stages of bills which affect England. David Cameron said recently: "for English-only legislation, we would have a sort of English Grand Committee. That is our intention and what is likely to go in the manifesto." Such a move would endanger the Union, and create a two-tier Westminster Parliament, and so the Tories’ policy should be opposed on principle. But it would also massively favour the Conservative Party, because if it is in a position to enact its plans after the 2010 election, it will have won scores of new seats in England. English votes for English laws in effect means Tory votes for English laws. If such a move would "endanger the union" then Labour have only got themselves to blame. The West Lothian Question has been widely discussed since 1977 when it was first named as such via Tam Dalyell it so it is not as if they have not had time to work out how to resolve it. The current settlement is not fair. I have my concerns about the Tory proposals on this but at least they are trying to sort the problem out. The effect might be damaging to Labour but they had their chance to ensure the current anomalies were ironed out and chose not to for reasons I suspect of political expediency. They will reap what they have sown. The second announcement is Cameron’s plan to cut the size of the House of Commons by around 60 MPs. Speaking to the Financial Times in January, Cameron said "I think the House of Commons could do the job that it does with 10% fewer MPs without any trouble at all." He said the Tories could legislate in their first term for an urgent boundary review so that all seats had roughly the same number of electors in time for the general election that followed. Cameron will propose this in the general context of anti-Parliamentary feeling in the country. I pity those who might have to oppose the idea – arguing for the status quo against such a seemingly radical policy. Cameron’s spin doctors have since confirmed that this would be a "first-term priority". But where would the axe fall? On Wales, and the English cities, where Labour would have most of its MPs, even after a Conservative win. That means Cameron would fix the system by abolishing Labour seats in the first term to make it easier to win a second term. Analysis by John Curtice at Strathclyde University suggests a smaller Commons would exaggerate swings, and "would improve the Tory chances of winning". As I have argued before, Cameron's proposals on this are tinkering with a hopelessly broken electoral system. From my perspective it is taking an appalingly bad electoral system which allows parties to get a majority of seats on a minority of the votes and fiddling with it in order to improve the chances for the Conservatives to get a majority of the seats on an even smaller minority of the votes. At the same time deploying any and every argument he can muster to completely refuse to countenance that there might be a fundamental problem with a system which gives the third party 10% of the seats on 22% of the vote and ensures smaller parties fare even worse. Having said all this, I am sorry to say that again Labour had their chance to reform the electoral system properly (indeed they promised they would in 1997) but Tony Blair kicked it into the long grass claiming it would be "quixotic" to change the electoral system that had just delivered them a huge majority. The third announcement appeared in the Telegraph last week, and it concerned Cameron’s desire to reform party funding. Since the cross-party talks on party funding reforms broke down in 2006, Cameron has made it clear that the Tories will legislate to cap all donations to parties (£50,000 is the latest figure). That means any individual or institution can only give up to £50,000. It makes sense if your party is funded by rich people and companies. If your party is funded by trade unions, it sounds a death knell. Cameron’s point-man on the negotiations Andrew Tyrie MP made union funding the sticking point, and the casus belli for the Tories breaking up the talks. The Labour Party is now reliant on the big four trade unions, not just for election posters and leaflets, but to pay the staff wages and utilities bills at head office. If each union could only give £50,000, Labour would cease to exist as a functioning organisation. I think Paul has a more clear-cut case here. The effect of a change like this would be choke off funding for the Labour Party. I expect over time they would find other sources of funding. I don't pretend to have any easy answers myself here except to say that I think lots of the money thrown around by the parties is wasted on silly, negative advertising campaigns and they could save money by not doing them and/or being smarter about how they spend their money. I do wonder in the end though if it would be politically possible for Cameron to bring in a measure that so disproportionately affected his primary opponents in this way. Surely it would look dreadfully partisan and spiteful, exactly the sort of thing that his party regularly accuses Gordon Brown of? So in summary I think Paul has a case for his final point but I am much more dubious about his first two. Labour have to accept responsibility for the open goals they have left a putative incoming Conservative government. They behaved for many years as if they would be in power for ever and didn't need to worry about fully following through on their reform rhetoric. Well it is looking like they may now pay a high price for this calculated inertia. This week we were joined by Allen Green, convenor of Westminster Skeptics who also blogs at "Jack of Kent" largely on legal issues and Bill Jones, Professor of Politics at Liverpool Hope University who blogs at Skipper. We discussed the Simon Singh libel case appeal which is scheduled for next week and more widely about the libel reform movement, Joanne Cash and the problem of perceived parachuted in parliamentary candidates, we asked if great campaigning (and the related skills most likely to get you into parliament) is really the best grounding for ministerial office, Gordon Brown's ITV1 interview with Piers Morgan and an assessment of the Twitter "outrages" of the week. I have just heard what Tory MP Sir Nicholas Winterton said about standard class train travel on Stephen Nolan's 5 Live show this morning. You can listen to the highlights here. He said that the sort of people you get in standard class are "a totally different type of people" to those you get in first class. He said that there is too much noise and people would be looking over his shoulder all the time. He also suggested that that is why business people travel first class. Stephen tried to point out to him that business people often travel standard class too and gave him opportunities to row back from what he was saying but Sir Nicholas was having none of it and insisted that he was entitled to first class travel. Now I know he is going to be jumped on from all sides for this. To be fair, I actually think there is a kernel of a fair point in what he is saying. There is more room in first class, a guaranteed power point for a laptop, less people, it's quieter etc. When I have been travelling on business I do try and get a first class seat. However, I do it by booking well in advance. If the price differential is only a few quid between first and standard (which it sometimes is if you book far enough ahead) then I will go for the first class option. Often though I am unable to do this. However I suspect that Sir Nicholas travels first class all the time, even when the cost is much more than standard class. The sense of entitlement comes through loud and clear. He is almost indignant that his "need" for first class travel could even be questioned. His remarks also echo those of former transport minister Stephen Norris in the early 1990's when he described his dislike of public transport and having to put up with "dreadful human beings". Even worse, the out-of-touch-ometer is pushing past the display by Eric Pickles on BBC Question Time last year when Pickles was adamant that MPs had to be in Parliament at a certain time because (banging the desk) "it runs like clockwork", completely failing to understand that lots of people are under severe time pressure and don't get the benefits that MPs get. Overall this was a woeful performance. It demonstrates that some MPs (especially it would seem long serving ones) just do not get it. He is not entitled to first class travel as a right and he ill-serves his constituents and the public through this sort of petulant display. I expect David Cameron will be furious about his remarks. Sir Nicholas probably couldn't care less though given that he is standing down imminently. Cameron better hope that this is the last such display by the dinosaurs on his back-benches this side of the election. I have just learned that the Press Complaints Commission has ruled in favour of Jan Moir with respect to the article she wrote last year following the death of Stephen Gately (I blogged about it at the time here). There is some analysis of the ruling from Andrew Reeves here and Stephen Glenn here. 25,000 people complained to the PCC about this article, more complaints than they have ever had about any single article which left many people repulsed at the unfounded comments about a man who had just died. If the PCC think that this article was fine then I seriously wonder what the point of it is. I also think that it is high time the composition of the upper echelons of the organisation were reviewed. Can it be right that Paul Dacre, editor of the Daily Mail is chairman of its "Editors’ Code of Practice Committee"? If we are going to have a PCC, it should be a robust, independent organisation which strives to uphold the highest journalistic standards. Otherwise, why are we even bothering to have one? It currently just seems to act as a veneer of accountability without doing very much to justify its own existence. 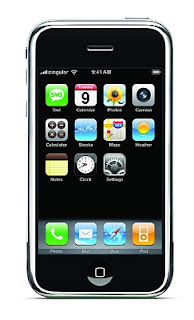 Since I got my iPhone in January 2009 it has become an invaluable gadget for me. I thought it might be worthwhile to share the top 10 iPhone apps that I regularly use and why I like them so much. This is an invaluable little app. Instapaper is a service that allows you to press a button in your web browser which instantly stores the URL from a web page for later reference. You can then go to your Instapaper page and see them all listed. So far so good. However the iPhone app "scrapes" the textual content from your bookmarked pages and stores them locally. This means that you can very easily and quickly have a load of web pages you are interested in reading the content from cued up on your iPhone for long journeys etc. even if you are out of signal area. I use this application multiple times every day. The only problem I now have is too much content stored to have time to actually read! This is the best iPhone Twitter client I have found so far and I have tried a few of them. It does cost money (unlike some of the other ones) but it is well worth it for the ease of use and the features it has. There are elegant touches like swiping across a tweet revealing various options for replying, retweeting etc. Highly recommended. Imagine going back in time 20 years and explaining to somebody that you had a device in your pocket that could listen to a 15 second snippet of music and tell you with well over 90% chance of success who the artist was, what the title of the song was and what album it was off. Oh and also provide you with a way of purchasing the song there and then. It would have sounded like something out of science fiction. But this is exactly what Shazam does. It listens to the snippet, encodes it and sends it off to its servers which pattern match the audio with its huge database and most of the time tells you everything you need to know about the song. Great for impressing your mates down the pub. Or at least it would be if they didn't all already have it on their iPhones too! Neat little app that tells you the current and next two programmes on UK TV channels (including digitial, satellite and cable) in a synopsis page with the ability to give you even more detail for each programme as well as being able to scroll up and down through the entire schedule and also skip forward to future days. It's actually quicker than picking up the paper and flicking through to the relevant page as well as having much more detail. Oh, and it's free. Over 20 classic books such as The Time Machine and Treasure Island on a virtual bookshelf and with a very pleasing interface which allows you to swipe across or tap to turn the pages. And it's free. The best RSS reader for the iPhone I have seen. It caches and stores the feeds locally too. Although it can take a while to update but that's probably down to the sheer number of RSS feeds I follow! Quick and easy interface to access Wikipedia which has good predictive completion, gives section headings to jumps between and related articles in easily accessible menu options as well as the ability to change the font size and search within a page amongst other features. I use this application several times a week. The game I was addicted to before I found Drop7 (It's like swapping heroin for crystal meth!). Simple game which fills the screen up with random coloured blocks and you clear them by tapping on any continguous grouping of 3 or more blocks of the same colour with scores related to the number of blocks you clear with each tap. You only get 100 taps per level (1000 points threshold each time) and need to keep the ratio of score to taps high because as you get closer to each threshold it speeds up! There is a free and paid for edition of this game. Risk for the iPhone. I used to have a version of this for my iPaq by the same author (Sean O'Connor) and it is the best mobile variant of this game I have found. There are different maps as well which means you don't just have to play the battle out across the world, it can be on alien worlds with different numbers of territories. I should just reiterate that is my personal view about the best iPhone apps I have found but there are bound to be loads I haven't even seen. Feel free to point out other good ones you use in the comments. I would also like to thank Stuart Sharpe who pointed me in the direction of numbers 1, 2 and 7 on this list. Question this approach and senior Conservatives will remind you that they are not unilateralists. A multilateralist sees Mr Brown's favourite technique and knows how to respond. The PM likes to make up a Tory policy and then attack it. He likes, for instance, to assail the Conservatives for planning to take away tax credits from poor people, a policy he simply invented. Surely, the Tories say, we have to fight fire with fire. We have to make the same sort of attacks, if only as a deterrent. Yet if the Tories are multilateralists, they are also free traders. They know that if one country protects its goods, it doesn’t make sense for a trading partner to retaliate. The protectionist country suffers (through high import prices) whatever other traders do. If you introduce tariffs yourself, all you do is join in the suffering. And so it is with negative attacks. Mr Brown’s attacks often make him seem petty, partisan and mean-spirited. Sometimes they make him seem completely out to lunch. If Mr Cameron responds in kind it could make him seem the same. Associating Mr Cameron with personal attacks endangers the Conservatives’ most important asset — their leader’s image as a more generous, broad-minded sort of Tory. I wish that Danny was right but I fear he is wrong. People often say that they do not like negative campaigning but from what I can tell the research evidence is far from clear. Of course people are going to say they do not like negative campaigning but sometimes the person themselves is not a good judge of their own motivations. They may not even realise that they are responding to it. I also think that if this sort of approach was doomed to backfire as Danny suggests then parties simply would not do it. They would have learnt this lesson by now. They want to win after all. However, like Danny, I still hope that the coming election campaign will be more illuminating than it has been so far. We are in a crisis at the moment and the electorate deserve to have the policies of the main parties properly explained to them. Something that may help here is the TV leaders debates. With 4.5 hours of scrutiny, it will simply not be possible for them all to just spend their allotted time slagging each other off! I think in that particular forum that approach will get very tiresome very quickly and that they will need to spend the majority of their time saying what they will actually do. #ivenevervotedtory because you can put lipstick on a scum-sucking pig, but it's still a scum-sucking pig. And cos they would ruin Britain. Some Tory Twitterers and bloggers have reacted angrily to this and demanded an apology. For his part, Mr Wright has tried to claim that he never wrote the scum-sucking parts and that someone has hacked into his account to edit his original tweet (which has since been deleted although cached copies still exist). Frankly his claims about someone hacking into his account do not seem very robust. As far as I know, tweets cannot be edited once they have become part of the Twitter timeline. Eric Pickles, the Tory party chairman has also waded in writing a letter demanding an apology from Mr Wright. Am I alone in thinking that Mr Pickles' time could be much better spent? To be honest, I cannot really see what all the fuss is about. Yes, Mr Wright's use of language was ill-advised and his attempts to distance himself from the worst part of it do not seem to stand up to scrutiny. However we are in the run up to an election. The #ivenevervotedtory and #ivenevervotedlabour hashtags were being used by hundreds of people yesterday on Twitter to throw insults at each other. The febrile atmosphere is bound to throw things like this up. Are we going to have senior politicians from every "wronged" party wading into every single one of these little transgressions? Last month, as I blogged about at the time, Greg Stone the Lib Dem PPC for Newcastle East was forced to stand down after he made a few ill-advised remarks about some of his opponents on a live-chat. I thought that was an overreaction too. Can we please stop the focus on these spats? I don't think I can cope with 3 or 4 more months of this sort of thing! If you actually came out at a selection meeting and said that you believed in a federal (European) union you just wouldn't get selected. I suspect he is right. In fact I suspect that a prospective Tory candidate wouldn't even have to go that far in order to scupper their chances of selection. I would have thought that even a moderately Europhile position would be enough to do the job in most cases. I wonder though if this will ultimately be damaging to the Tory party. It is true to say that the vast majority of its parliamentary ranks in the Commons are steadfastly Eurosceptic. There are a few exceptions but they tend to be people who have been MPs for a long, long time, probably most famously Ken Clarke. However there must surely be aspiring politicians out there who instinctively feel like Tories but who harbour warm feelings towards Europe and the EU. Perhaps even (horror of horrors!) the European currency. These people will either have to keep very quiet about their true feelings on this issue or choose another party if they wish to progress their career. Now some, perhaps many Tories may think this is a good thing. But I wonder if one of the most Eurosceptic Tories would agree with them. Daniel Hannan today writes on his Telegraph blog that as well as ethnic and other forms of diversity within political parties there should also be ideological diversity within them. I agree with Daniel here. It is the sign of a confident and mature political party that it can tolerate differences of opinion within its ranks. It would appear however that the subject of Europe is one that has polarised opinion within one of our largest political parties. It seems to be a legacy of Margaret Thatcher's latter years as PM and the bitter splits that came to the fore in the party in the 1990s. I cannot see the former diversity of opinion on this in the Conservative Party returning any time soon and I think that will ultimately be to the party's detriment. In observing the behaviour of my current (and soon to be ex) MP Andrew Mackay I have found him to be an interesting case study in the old ways of practising politics. His actions in a couple of respects were acceptable and worked for politicians 20 or 30 years ago but completely fail to take into account how the modern political world works. The first one is how he behaved during and directly after his now infamous public meeting in Bracknell in May last year. I blogged about it extensively at the time as I was one of the attendees and asked some of the questions. The 200-odd audience of constituents was overwhelmingly hostile to him, I estimated 85% or more were againt him and wanted him to stand down. The interesting thing from the perspective of "old politics" though was the way he tried to media manage the event. There was an attempt to prevent video cameras from being taken into the hall where the meeting was to take place. I witnessed this first hand where one of the officials tried to physically bar someone from taking one in with him. However the chap argued quite forcefully that he was serving a public duty by recording it for all the constituents who for one reason or another were unable to make it to the meeting. I backed him up as did others also queuing up and eventually the official relented. I know that at least two other video cameras ended up in the hall as I have seen the footage. The gentleman who interrupts Mackay was spot on which was embarrassing for him. However it got much worse for him because of the footage from inside the meeting that was being uploaded from various sources within an hour of the meeting ending. Also a number of people who attended the meeting (including myself) were blogging about it within hours. What Mackay was trying to do was media manage a public meeting in a way that might have worked 20 or 30 years ago but was completely inadequate for one where video cameras can be cheaply and easily used by members of the public and there is a channel available to them to distribute them across the country (and the globe) within a few minutes of them getting home. He clearly thought that if he could just stick to his line that the meeting was largely with him then he could hold onto his job. We now know that David Cameron called him the next morning and left him in no doubt that his position was untenable. Mr Cameron fully understands how the new world works and I expect the decision took him a few minutes at most. Rumour has it that he had watched one of the video recordings of the event. I knew it was all over for Mr Mackay as soon as I saw the above TV clip. It was just too easy to prove that he was totally misrepresenting the mood of the meeting. It's the technology that did for him. The second occurrence that makes it clear Mr Mackay is still practising politics in the old way is something that happened last week. He has accepted a position with a political lobbying firm. It has been reported that he will earn a six-figure salary and the statement from the company who will employ him makes it clear that they expect him to be able to wield influence within David Cameron's inner circle. Andrew Mackay was one of the worst offenders in the MPs expenses scandal. Out of the more than 300 MPs who had to pay money back, the amount he was judged to have wrongly claimed was over £30,000 (and his wife a similar amount) which puts him third in the list of worst offenders. Against this backdrop, to go straight from being an MP to work for a lobbying firm earning the sort of money most people can only dream of specifically because of his perceived influence with the man the bookies have odds on to be our next Prime Minister leaves a very nasty taste in the mouth. "We all know how it works. The lunches, the hospitality, the quiet word in your ear, the ex-ministers and ex-advisers for hire, helping big business find the right way to get its way. In this party, we believe in competition, not cronyism. "So we must be the party that sorts all this out. Today it is a £2bn industry that has a huge presence in parliament. The Hansard Society has estimated that some MPs are approached over 100 times a week by lobbyists. "I believe that secret corporate lobbying, like the expenses scandal, goes to the heart of why people are so fed up with politics. It arouses people's worst fears and suspicions about how our political system works." That is a damning indictment of what Mackay (and the firm employing him) expects to be able to do straight after the election. Yet in the public utterances from my MP on the subject there appears to be no recognition of the reality of how badly he is coming across and how inappropriate it is for him to be making huge amounts of money from the influence he clearly thinks he still has (although I think his new employers might be in for a shock on that front). These are two prime example of how an old political fixer has come unstuck for completely failing to understand the modern political landscape and how MPs need to behave in the age of YouTube and blogging and following the expenses scandal. Mr Mackay's successors would do well to take note. UPDATE 22:20: Paul Waugh also has a good post on Mackay and his wife (Julie Kirkbride) this evening where he draws our attention to the pretty devastating verdict (albeit couched in civil-service-ese) of Sir Paul Kennedy in his ruling on both of their appeals regarding their expenses. 1) Investing extra funds in education through a pupil premium for disadvantaged children. 2) Tax reform, taking 4 million out of tax and raising taxes on the rich by requiring capital gains and income to be taxed at the same rate. 3) Rebalancing of the economy to put less emphasis on centralised banking and more on a new greener economy. I think on balance that this sort of approach is the right move. I have been asked numerous times by both Labour and Conservative activists which party I would want to go into coalition with and I have seen our senior MPs asked this over and over again. There is a danger that if we don't nip this in the bud it will dominate any discussion featuring the Lib Dems in the next few months and we find ourselves constantly being put in the position of defining ourselves in this way. Instead, Clegg has now set down the red lines in terms of what we would want to see before offering cooperation and has also eschewed the possibility of ministerial office for himself and colleagues. I do wish that number 4 had been defined a bit more clearly though. Electoral reform can mean all sorts of different things. Far better to have said Single Transferable Vote and leave people in no doubt what we mean. The idea that Cameron could try to corner the Lib Dems ... I do not think is likely to work. It would be perfectly reasonable for us to support the things we agree with and oppose those we do not. If that meant voting down a Queen's Speech (if we were forced into that position) then so be it. Now that Clegg has laid out the terms by which we would be willing to discuss supporting a minority government (of either main party), I very much hope spokespeople of both red and blue hues are regularly put on the spot and asked if they would be willing to support the Lib Dem principles outlines above. There is a bit of a hoo-ha this morning about an attack document that the Conservatives have produced called "Labour's Two Nations" in which they have claimed that in the most deprived areas of the country, 54% of women are likely to fall pregnant before the age of 18. They had misplaced a decimal point because the actual figure for these areas is 5.4%. This erroneous figure was mentioned three times in the document. Now anyone can make a mistake. However there should have been a review of this document before it was released. If there wasn't, then they need to improve their processes. If there was, somebody should have noticed that they were saying in some areas over half of all women under the age of 18 were falling pregnant. That immediately fails the "does this figure even seem vaguely plausible" test. And that is why it is so damaging. The Conservatives have already been taken to task recently by the Economist which pretty comprehensively rebutted their "Broken Britain" narrative by analysing the evidence. The Tories are giving the impression that they don't really understand what is happening out there in the real world. The fact that they could release a document which states such a wildly wrong figure just lends more credence to the idea that they are totally out of touch. They need to be more careful and avoid making mistakes like this that play into this out of touch narrative. Before I start it is worth considering that there may never be another Labour PM. If they fall into internecine squabbling after the general election it is always possible that the hollowed out husk of what's left might eventually implode. For the purposes of this post though I am assuming that this does not happen. I just wanted to run through a bit of the history of the last 50 years to show how the more recent trend for the next PM after a party changing election has not been obvious. 1964 - When Harold Wilson became PM, Edward Heath had already been an MP for 14 years and had been Parliamentary Secretary to the Treasury, Lord Privy Seal, Minister for Labour and Secretary of State for Industry. It was no surprise when a year later he became Leader of the Opposition. 1970 - When Heath became PM, the next opposition PM was the outgoing PM, Wilson himself! 1974 - When Wilson became PM again, Margaret Thatcher had been Education Secretary. It was a bit of a surprise when she became Leader of the Opposition in 1975 and not many would have laid money on her being PM in 1979 back when Heath first lost office. The smart money would have been on someone like Willie Whitelaw. 1979 - When Margaret Thatcher became PM, the next opposition PM, Tony Blair was completely unknown and was still a few years away from even entering parliament. At that point nobody would have guessed that the next Labour PM was 18 years away. People like Denis Healey, David Owen and even Michael Foot were being touted as future PMs at this point. Indeed Healey is still viewed as one of the best PMs we never had. If David Cameron becomes PM this year... In 1997 he was a former junior party advisor and strategist who was working in the PR department for Carlton TV. He didn't even have a seat in parliament. All the talk in terms of a future Tory PM was of when Michael Portillo was going to get back into the Commons and seize the leadership. The reason I am going through all of this is because a lot of the discussion in and around the Labour Party is focusing on who will succeed Gordon and who might be the next Labour Prime Minister. 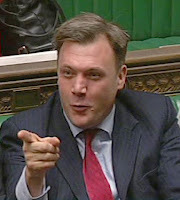 Could it be Ed Balls (*shudder*), James Purnell, David Miliband or even his younger brother Ed? But the recent history shows us that when a party loses power, there really is no telling when they will get back in again and who the leader will be when they do. The odds are that if Labour do have a Prime Minister again in the future, he or she may not even be an MP yet. Perhaps it would be more fruitful to look at some of the junior advisors to the current cabinet or even some of the Labour activists currently making a splash in the blogosphere if you were looking for a long term bet. You'd certainly get good odds! Of course my argument here is based on the assumption that changes of party in government happen quite rarely which has been true for the last 30-odd years but may not be true in the future. Indeed I hope it is not. But if Cameron does squeak a majority then we already know he is going to try and redraw the electoral map to make it easier for the Conservatives to win in a subsequent election and incumbency can be a powerful weapon if used well. So don't be surprised if the next Labour PM is someone that you won't have heard of even several years from now. The problem with VAT rises is that they do not spread the pain evenly. They disproportionately affect people on lower incomes because it effectively increases the amount of tax they pay overall as a proportion of their income far more than on more wealthy people. However the tax is not as visible as income tax. People do not see it directly taken out of their salary and hence if it goes up, they will not be able to compare last month's pay slip with this month's and see the extra amount the government is taking. They don't feel it as keenly even though it still affects them. That is why governments raise these indirect taxes, because it is politically less painful to do so. 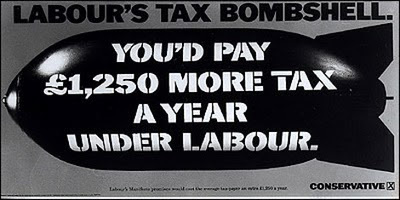 The poster was widely credited with having had a big impact on the result. Some, including Tony Blair even think that it was Labour's tax promises and the very effective way that the Tories highlighted them that directly led to them losing that election. The scars of that loss run very deep within the Labour Party and it was these that led to Blair's iron conviction to do everything he possibly could to avoid raising income tax rates. The line has been softened slightly under Brown with the pledge to introduce a 50% rate of tax for those earning over £100,000 but this only affects a very small number of people. The idea of raising income tax rates for many is still considered politically suicidal by most senior politicians in the two largest parties. So the result of this toxic legacy is that instead of going for the fairest and most transparent tax rises which would be solely based on ability to pay, they are instead thinking about the best way to sneak them in through the back door. Nobody likes tax rises. Indeed I wish we were not in a position where we were having to contemplate them but hardly anybody thinks we can get through the next few years without them in some form. So given that, the least any prospective government can do is to pledge to introduce them in the most equitable and transparent way possible. I have done plenty of door-knocking and canvassing in the past both in the Bracknell constituency and also more widely in surrounding areas but this is the first time that I have been the candidate too. It has been an enjoyable experience so far. I have been pleasantly surprised at how many people are willing to talk to me about issues. Although I have tried to make sure they understand that I can only represent them regarding local issues they often want to talk about national issues too which I am happy to do. The message that seems to be striking the loudest chord with people is that we really need to have some more opposition voices on the council. The borough council here is dominated by the Conservatives who currently hold 38 seats, Labour hold 3 and there is no-one else. This is not a healthy state for any local council to be in to be so dominated by one party. I would say this about any party having that much dominance and indeed I have seen similar situations in northern England with councils dominated by Labour. I have also been struck by how little the people I have spoken to have seen of their councillors in the last few years. Not one person to whom I have asked the question "Have you seen your councillors around here in the last few years" has responded yes. The Lib Dems I know who are councillors in neighbouring council areas (Guildford and Reading for example) never stop going around their wards and talking to people. The idea that the people of Owlsmoor never see their councillors is just wrong and is definitely something I would remedy if I was elected. I have knocked on hundreds of doors so far but there are hundreds more still to go between now and the 25th of February! It's #bbcqt day and as usual the Live Chat on this blog will start tonight at 10:30pm. Coming from Belfast, the panel are the Northern Ireland Secretary Shaun Woodward MP, Sinn Fein's Gerry Kelly, Northern Ireland's finance minister and DUP member Sammy Wilson, the former Northern Ireland First Minister Lord Trimble and Jim Allister of the TUV. This week we were joined by Mark Pack, co-editor of Lib Dem Voice and contributor to more blogs than you can shake a stick at! We discussed whether political blogging can make a difference, the relationship between blogging and newspapers and whether political alignment is important with respect to blogging. Also, will bloggers be more careful about what they say as the general election hoves into view? I attended a "Westminister Skeptics in the Pub" event titled "What difference does political blogging really make?" last night. It was a panel discussion with Paul Staines (Guido Fawkes), Sunny Hundal of Liberal Conspiracy, Jonathan Isaby of Conservative Home, Mick Fealty of Slugger O'Toole and journalist Nick Cohen of The Observer. It was chaired by Allen Green of the Jack of Kent blog. Nick Cohen started by asking why bloggers do not cover things like select committees. He also made the point that he thought that bloggers would not ultimately fill the gap left behind as local (and national) media ebbs away in the coming years. A concern he expressed several times during the evening was that there is very little money in blogging and therefore it impacts on the ability of blogs to do proper investigative journalism which requires time and resources. Jonathan Isaby was introduced as the first journalist to have left a national paper in order to devote his full time to blogging professionally (he worked on the Daily Telegraph until about a year ago). He suggested that blogs and newspapers have a symbiotic relationship with them both feeding off each other and also that blogs often bring emerging stories to the sharp attention of the public via the mainstream media. In his opinion blogging is a great democratisation of the space and it largely removes the barriers to entry that used to exist for people to have their voices heard and read in print. Sunny Hundal spent much of his initial contribution rebutting Nick Cohen's claims about investigative blogging by listing examples of bloggers he knows such as Tim Ireland and Adam Bienkov who have regularly broken stories that have then made the national or regional media. He also said that Liberal Conspriracy's main objective is the "destroy the right". Mick Fealty (who based on the two times I have now seen him live is a very good public speaker) suggested that the ability for all to be able to publish is a "disruptive technology". He said that lots of bloggers do try to pull things down and that often skeptical questions can stray into cynicism. In his view there are also not enough blogs discussing positive things that governments could actually do. He also thinks that the government and establishment response to blogs has so far been pretty poor and that they are hampered by an 18th Century structure trying to respond to something that is only a few years old and constantly evolving. Quite a nice line he came up with is that "blogging gives opportunities to opportunists". He then discussed how his blog was able to forensically examine the statements of Gerry Adams regarding the Liam Adams case (he described it as a qualitative analysis) of the kind that the media often don't do. He rounded off by saying that bloggers are "emotionally free" to explore stories that the mainstream media are not. Paul Staines started by saying that there are about 3,000 people who run the UK (politicians, financial people and the media) and about half of them regularly read his blog. They are the people he is trying to reach although his primary purpose in writing it is to amuse himself. He suggested that there is very little readership for special issue blogs. He also quoted Alex Smith (editor of Labourlist) as having recently listed the different categories of blogs: influential, policy based, and interest group. He said that despite Nick Cohen's lament we really do not need parliamentary reporters any more as everyone can get Hansard on their laptop if they want to know what was said although he did concede that the specialist interpretation would not be there for that. He also pointed out that his Sunlight Centre for Open Politics had originally reported Labour MP Jim Devine to the police with the implication being that blogs and associated organisations are often ahead of the curve. After a short break it was opened up to the floor for questions. There were lots of them and the event ultimately went on for two and a half hours. I managed to make a small contribution myself where I explained about the impact that my work last May on MPs' expenses and the apparent link to the electoral system had had on the national debate at which I was amazed given that it was just me blogging in my pants in my bedroom. I also suggested that some of the work that e.g. Conservative Home and Left Foot Forward do on policy development are examples that address some of Mick's concerns. Finally I asked if the panel thought blogs would get more polarised and mud-slinging or whether there would more and more policy analysis. The consensus seemed to be more the former than the latter. In response to a specific question Paul said that he does not read the comments on his blogs. He also said that half of the 400,000 comments annually are made by 50 people! He thinks that people who complain about comments on blogs should "f*ck off". In contrast Mick came straight in and said that he does read and value his comments. In response to a question about science coverage on blogs lamenting how the Climategate e-mails were covered Mick pointed out that like journalists, bloggers are generalists. Paul thinks that the New Statesman is read by old tramps in the corner of the library! Mick suggested that when the history of this period is written, there will be an analysis of how Paul has been able to deconstruct the character of Gordon Brown and strip him bare in a way that the mainstream media is just not able to do. In response to a question specially for Paul and Sunny: "Nadine Dorries, snog, marry, avoid", after briefly threatening to read out some of Nadine's texts to him Paul said that his relationship with Nadine was private. Sunny said "avoid". For a political blogger like myself it was an absorbing discussion although I think it probably could have been half an hour shorter. I noticed a number of people having to rush away just before and bang on the end (me included) which was a shame as there were loads of people there who I would have liked to have talked to afterwards. I am not sure the main question was thoroughly addressed by the panel but there were some interesting vignettes on how blogging functions from some of its leading lights. Thanks to Allen Green for organising the event and I will certainly try and get to more Skeptics in the Pub events in the future.